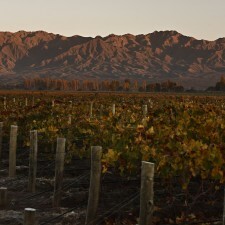 The Uco Valley is the hot topic of Argentine winemaking. Rankings, reviews and reports all say that it is THE place for wine. With 27,900 hectares, it is a mosaic of flavours and aromas for all varietals. A virtue that is shaping the renewal of the flavour for Argentine wine with freshness. 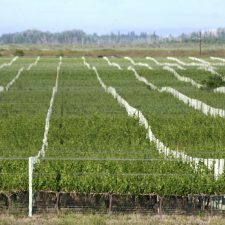 Since 2006, its cultivated area has grown by 65% and its vineyards are already double those of Luján de Cuyo, the country’s historic viticulture region. Beyond the data, the true key to the success of the Uco Valley is that it is a vast mountain territory that ensures freshness, quality and diversity of styles for red and white wines alike. 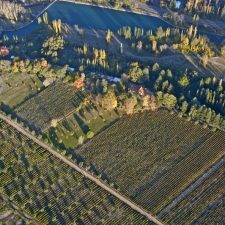 Tupungato is the department with the largest area of vineyards, with 9,900 hectares. It was the first to become internationally recognised with its wines produced in Gualtallary, a precious corner. The altitude is the main feature, with vines being grown at over 1,600 meters above sea level. Drier and cooler than other regions, its alluvial soils are made up of rocks, sand, silt and limestone. These factors translate into a Malbec with excellent concentration and maturity with a ton of freshness, such as Catena Zapata Fortuna Terrae 2012, Sophenia Synthesis Malbec 2013, Altos Las Hormigas Appellation Gualtallary 2013 and Doña Paula Alluvia Parcel 2011. But Tupungato offers more than Malbec. It was a spearhead for Cabernet Franc, whose herbal and balsamic tones fuse with deep red fruit and spices, something that is common in Calcáreo Granito 2014 and Gran Enemigo Single Vineyard 2013. 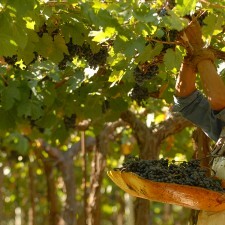 Its Pinot Noir is among the more savoury and elegant in Mendoza. Just try Finca Ferrer 1310 Block A1 2015 or Luca 2013 from Laura Catena. In Chardonnay it also leads the way with its fattiness in the mouth and refreshing flavours. A style that allows for elegant wines, such as Adrianna Vineyard White Bones 2012, Matías Riccitelli Vineyard Selection 2015 and Escorihuela Gascón Pequeñas Producciones 2015. Tunuyán is the second largest department of the Uco Valley. In it are some of the best-known wineries such as Clos de los Siete, Salentein and Lurton, all of which pioneer the use of the name of the valley on their labels. Here it is all about sub-appellations: Vista Flores, Chacayes and Los Árboles are in full formation. 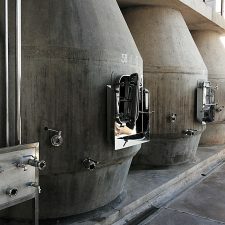 They are areas that give well-defined styles to their wines. As a distinguishing feature of Vista Flores reds, it is worth mentioning the floral aromas reminiscent of violets and the compact palates of Val de Flores 2009, Gran Ópalo Blend 2012 and Cuvelier Los Andes Grand Malbec 2013. Chacayes is the area that everyone is talking about. Its vineyards sit right in the mountains and reach up to 1,300 meters. The reds show fruity, balsamic notes and deep minerals that are then repeated in the mouth, where the wines are fluid and fatty, such as Per Se Francesa 2012 or Chacayes 2008 from Piedra Negra and Alpasión Malbec 2013. Among the whites, the Chardonnay from Viña Cobos, Bramare Los Arbolitos Vineyard 2015. Los Árboles is the coolest corner of Tunuyán and borders Tupungato. Its white grapes are the most coveted especially those of Chardonnay which ensure aromas of good tipicity, volume and tension. Bodega Salentein has the most vineyards in the area, and among its labels are Numina Chardonnay 2015 and its Single Vineyard Plot No. 1 2013 although it is also worth looking for Zaha Chardonnay 2015, an exquisite interpretation of Alejandro Sejanovich’s terroir. Towards the Southern limit of the Uco Valley lies the department of San Carlos which consists of two very internationally recognised micro-regions: Paraje Altamira and La Consulta. The geography of both zones is shaped by the Tunuyán river, where the vineyards can be found in alluvial soils of abundant sand and silt with rocks and calcareous stones at different depths. The irregularity of these soils gives rise to remarkable heterogeneity within the same vineyard. In Paraje Altamira, a well publicised area in 2016 for having achieved its status of Geographical Indication, the reds stand out for their fruity, earthy profile and remarkable minerality, which in the mouth translates to a dusty texture. They represent the new face of San Carlos, with their fleshy, refreshing palate, like Zuccardi Aluvional Malbec 2012, Achával Ferrer Finca Altamira 2012 and Chakana Ayni Malbec 2015. As for the whites, there are exquisite Semillon’s such as Finca Suárez or Mendel, both 2016. La Consulta is a historic bastion of the Uco Valley, with century-old vineyards and long-standing wineries. For this reason, its wines are intense and concentrated but offer their own balance from these great vineyards. Altocedro Gran Reserva Malbec 2012 is one of the best that defines the classic style of this region, while Teho Red Blend 2012 and Tito Blend 2013 by Zuccardi provide a juicy style. 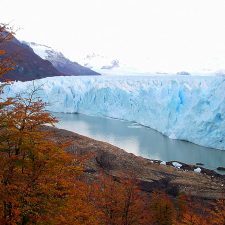 As you can see, there is no single version of Argentine wine nor an exclusive profile of Malbec, instead each region has much to offer and discover. In this sense, the Uco Valley has just begun to tell its story. There will be more. Muchas gracias por tu articulo. 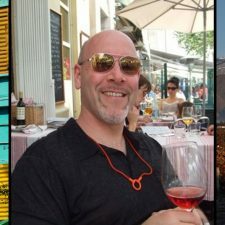 Vivo en Canada y estoy planeando un viaje de cinco dias a Mendoza. 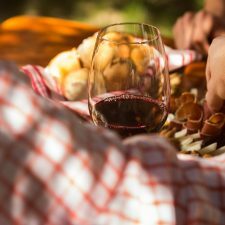 En tu experiencia, cuales son las bodegas que recomendas visitar? Cuales son las “must see”? Y recomendas alquilar auto o tomar tours individuales? Toda informacion, sera muy bienvenida!